Terry McConnell was born in Ingersoll, near London, Ontario, Canada, and studied journalism at Mohawk College in Hamilton, before landing his first job as a sportswriter at a suburban newspaper in Dundas, Ontario, in 1973. One of his earliest memories, however, is of stacking freshly printed newspapers in the pressroom at his father’s weekly newspaper in Tilbury, Ontario, near Windsor. He estimates he was no older than six or seven at the time. He eventually returned to the family business, purchasing his father’s two newspapers in Tilbury and Belle River, and launching a third in nearby Tecumseh. He was also a founding partner in a very successful shoppers’ paper in Chatham. His newspapers were sold in 1994, and the following year he moved his family to western Canada. 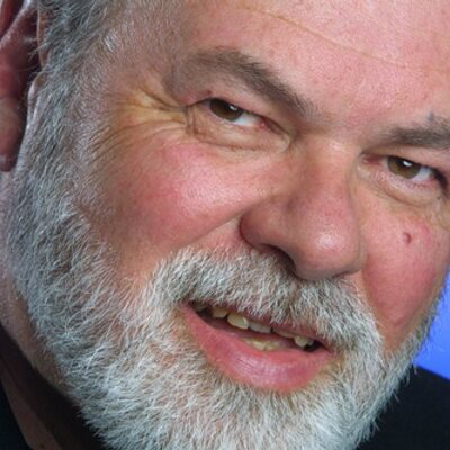 He is the recipient of several national and provincial awards for his writing, twice winning best editorial in Canada and best column in Ontario from the national and provincial community newspaper associations. After his arrival in Edmonton in 1995, Terry McConnell became one of the city’s most widely read journalists. His columns, Telescope and Venting, published in the Edmonton Journal six times a week, reached an audience of up to a quarter of a million people. In 2009, Terry co-authored I’d Trade Him Again: On Gretzky, Politics and the Pursuit of the Perfect Deal, in co-operation with former Edmonton Oilers owner and entrepreneur Peter Pocklington and fellow journalist J’lyn Nye. The first and second editions of the book were published by Fenn Publishing Inc., of Toronto, Ontario, Canada. Following the demise of that publisher, rights reverted to the authors. Terry chose to self-publish the book, and retitled it The Puck Talks Here: The amazing life & turbulent times of Peter Pocklington, a title he felt more accurately reflected the book’s contents. Terry lives in Palm Springs, CA, and Edmonton, AB. He is the proud father of five children, and grandfather of six. He nows works as a media consultant and as a biographer. J’lyn Nye is well known throughout northern Alberta as the co-host for the highly rated morning show on Edmonton radio station Joe-FM. Prior to that, she was the anchor and producer for Global Television’s News Hour Final, and is an award-winning documentary producer.